22MM, 11 row, nylon ball tip with full radial vents. Comes in a glossy black and chrome finish for that professional image. 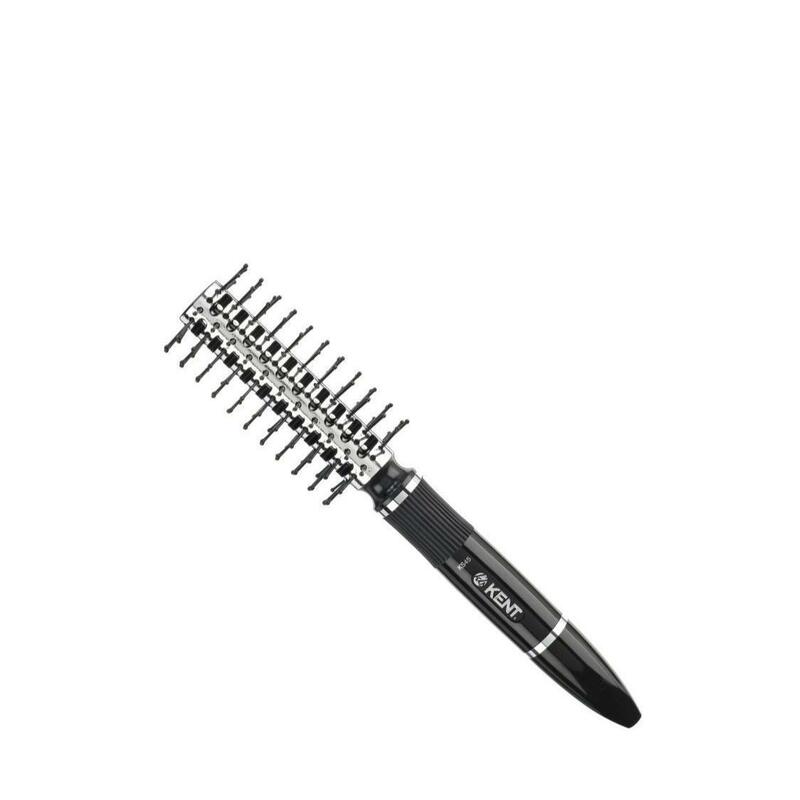 Vented brushes speed up drying time as hot air can circulate directly through the brush and into the hair layers. Ball tips help protect the scalp from any scratching or damage to the hair follicales. For general styling and maintenance of fringes, medium hair and layers.